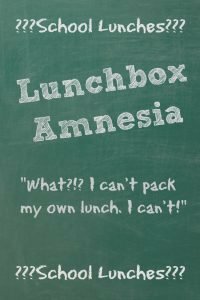 My daughter has lunch box amnesia. I’m talking the big kid here, Rainbow, my eight year old. The other day she refused to pack her own lunch for school. Not only did she tell me, in some rather questionable tones, that I had to do it for her but she also insisted that she had never, ever, in the entire history of the world, packed her own lunch. Never. Ever. And well, she’s dead wrong. Rainbow started packing her own lunch in Grade 1. It was her idea. She began by critiquing my lunch box submissions and giving me ideas on what she’d rather see. Her suggestions were reasonable, healthy even, so I slowly handed off the reins to her, and by mid-way through Grade 1 my girl, who was six at the time, was packing her own school lunches every day. And it was great. It was even better than I ever imagined it would be. When she made her own lunches she brought back empty containers at the end of the day. She sometimes chose smaller portions for herself than I would have given her. Other days she packed herself more than I would have thought to include. On an intuitive level I think the kid knew when she was having a “hungry day” or a growth spurt, as opposed to those days when she somehow survives while eating like a bird. This continued on until this year when little sister Rocket started kindergarten. At the very beginning of the year I had Rainbow, who is now in Grade 3, packing her own lunches. However it quickly became evident that she was jealous that I was creating lunches for her little sister. Hoping to make the new school year transition as smooth as possible I stepped in and started making lunches for both girls. Now here it is seven months later and I find I am somehow still in charge of making both of my daughters their lunch. Overall, when it comes to making lunches, I’ve let things slip. It’s all become a little chaotic. My daughter used to pack her lunch each night before bedtime. However this year I eventually found myself making lunches solo after the kids were in bed. Which of course became me making lunches each night as the last thing before I head off to sleep. And then predictably I let it slip a little further and it became me scrambling to make lunches for both kids in the morning while they were busy eating breakfast. It has gotten to the point where I am rushed and grumpy and the kids are not only not helping they are watching what I am stuffing into their sacks and whining about their lack of choices. How the heck did I get from happy kid who is making her own lunch before bed each night to scrambling mom who is tossing whatever-the-heck into two little lunch sacks each morning? One particularly awful morning, a few weeks back, when the kids were dragging their feet and everything that could be forgotten or go wrong was, I asked Rainbow to make herself a lunch and she freaked out on me. I was busy trying to convince the six year old to pry herself out of bed and get dressed (Rocket does NOT like mornings), and so, thinking it was no big deal, I asked Rainbow to make herself a lunch. “What? !” she shrieked in a nasty confrontational tone, then her voice dropped into an annoying whine “I can’t make my own lunch, I caaaan’t.” There was drama, more whining and even tears as my girl insisted that she was simply incapable of making a lunch. because being told to make her own school lunch is SO stressful. When I later brought up the fact that she had managed to make her own lunches for well over a year my daughter was incredulous. According to her that never happened. According to her not only is she completely incapable of packing her own lunches, but I have always made them for her. Always. I even brought in testimonies from other family members who could vouch for the fact that this kid was making her own lunch in Grade 1 and 2, but she still claims she doesn’t remember. And either she has developed one heck of a poker face in the last little while, or she’s not lying. It seems like she genuinely doesn’t remember ever packing her own lunch. Weird, right? As I mentioned the other day, as the end of the school year approaches I am getting seriously sick of packing lunches. So regardless of whether she remembers doing it in the past or not, I felt like we had to reinstate Rainbow making her own lunches. Pronto. If not for the sake of helping my girl to develop some autonomy, then for the sake of my own sanity. It hasn’t been a smooth ride. When I first handed things off to her, back when she was six, she was excited, honoured even, to be packing her own lunches. This time around there has been whining and drama aplenty. I keep telling her, “If you could do it when you were six you can do it now that you are almost nine.”, which just gets me incredulous looks and eye rolls. At the same time I’m trying to get my kindergarten kid more involved in making her lunch. She’s not ready to go solo, but I have her helping me, step by step. Get the container. Grab the bread. What type of sandwich should you have today? At this point her helping actually makes everything take longer, but I’m willing to go through this exercise in patience for the remainder of the school year in exchange for having (hopefully!) two little girls who can make their own lunches come September. What’s the story at your place? 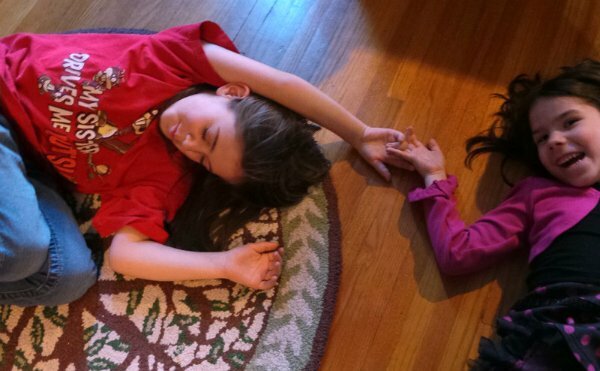 Have you ever had one of your kids suddenly “forget” how to do something they used to do on their own? 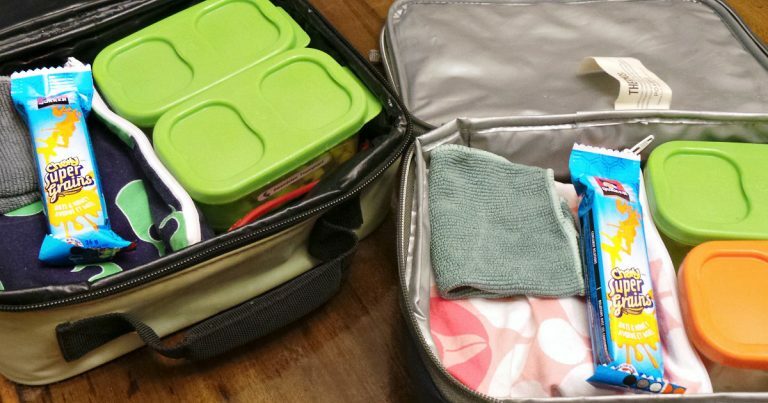 Do you make your kids lunches, or do they pack their own? Well I understand this I think as a Mom. It is funny she is so insistent though. I hate packing lunches and order as much hot lunch and pizza etc as I am able. I occasionally still make a lunch if the kids have been out way too late rehearsing for a play. Mostly they make their own now thank goodness. Good luck!